In the digital age, business cards may seem to be a thing of the past, as there are multiple social media marketing tactics that can be used to spread the word. But they are still beneficial in many ways. For instance, business cards can assist you in direct marketing endeavors at trade shows, conferences, and other events, help you make a great first impression on potential customers and increase brand awareness and recognition, etc. Designers working for e-stores that specialize in selling business cards do their best to develop great card templates to offer them to customers. But shoppers who are looking for individual designs may never place an order in such a store. Forward-thinking merchants understand the importance of targeting these customers, too. 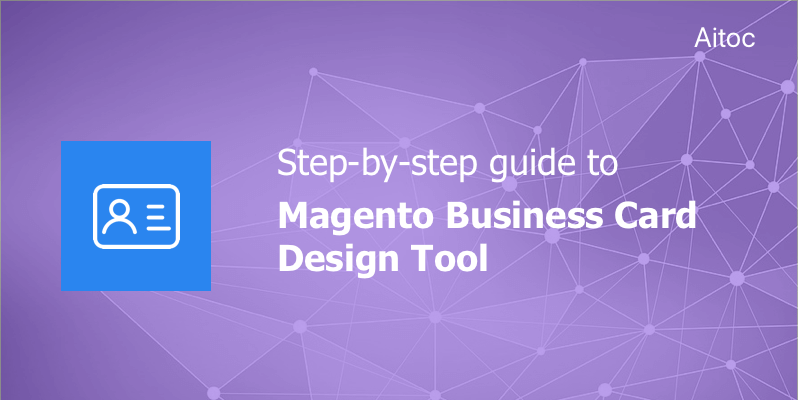 Custom Product Designer is a Magento 2 extension that allows online shoppers to apply custom designs to items offered by Magento-powered merchants right in the store. With the help of the extension, store admins can add multiple customizable areas to any sides of the product. 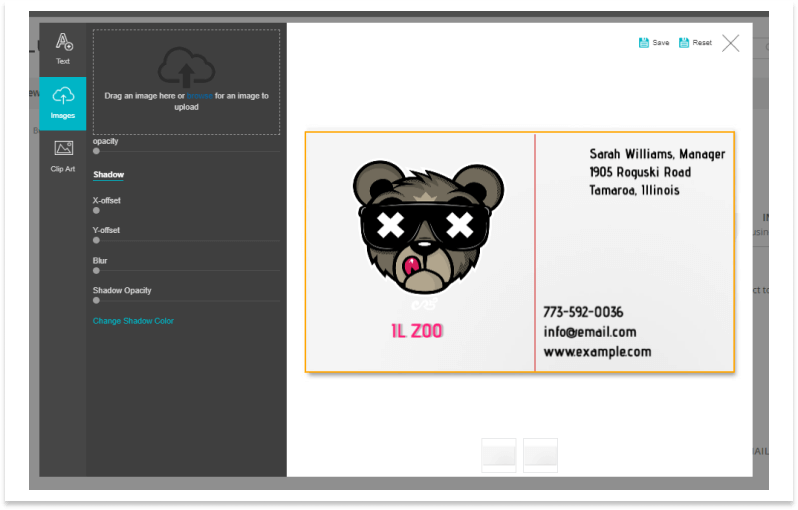 Once customization is enabled for the item, store visitors can start adding custom images, text, and clip arts to design areas. This makes Custom Product Designer a perfect tool for creating unique business card designs. 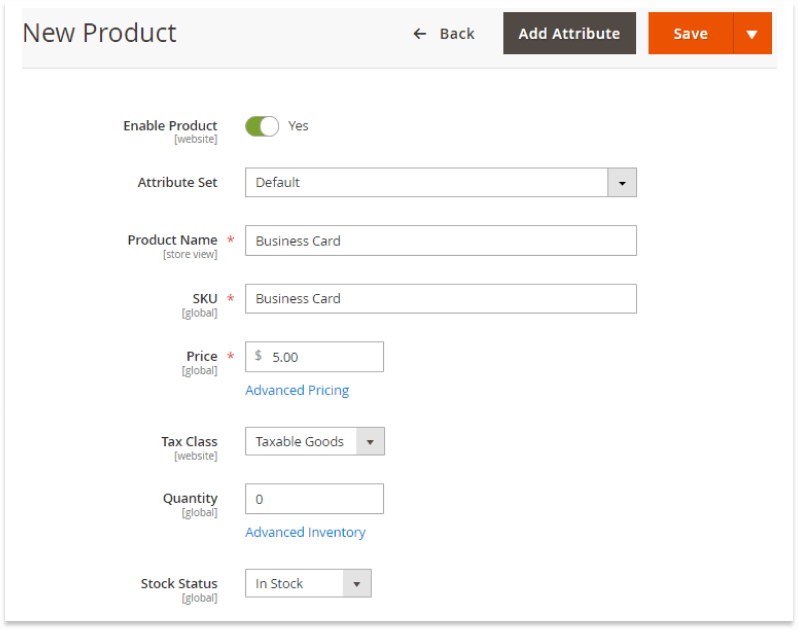 Log in to the Magento Admin panel and go Catalog > Products. Tap the ‘Add Product Button’ and start creating a new product. Add all the necessary details: product name, its SKU, price, and so on. Proceed to the ‘Images and Videos’ section. Add as many images of the business card as you need. Save the product to make sure that all the data you’ve entered is safe and sound and navigate to the ‘Custom Product Designer’ section on its page. 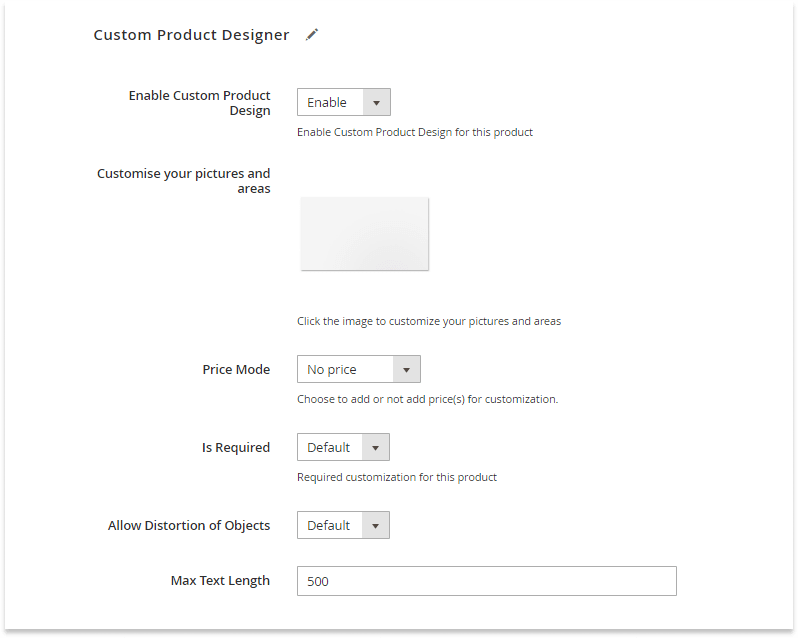 To enable customization of the product, set the ‘Enable Custom Product Design’ field to ‘Yes’. 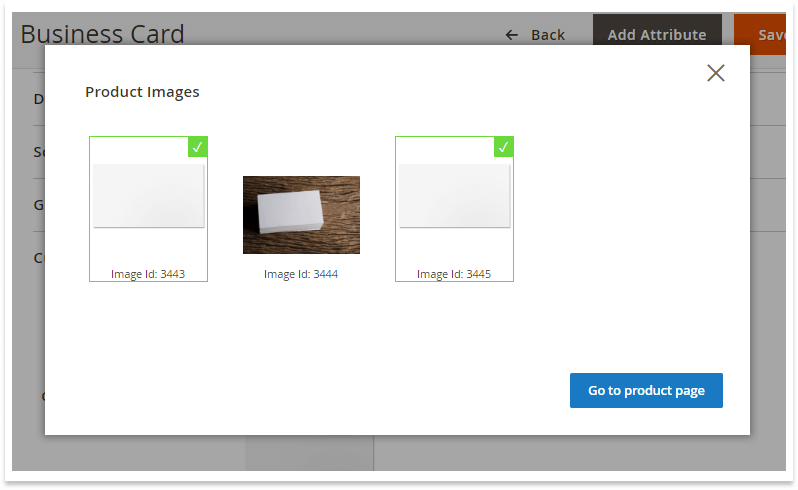 Click the card’s image to add customizable areas. On the popup window, select product images you want to enable for customization. 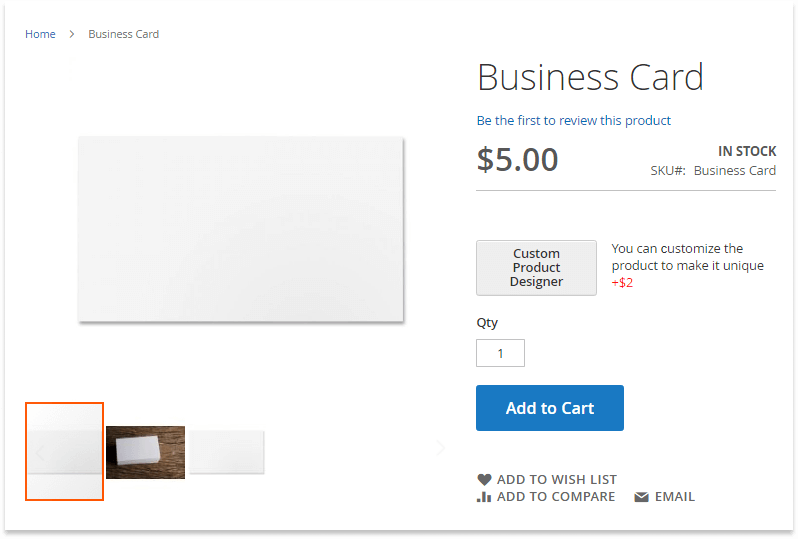 If you want to allow your clients to add custom designs to both front and back of the card, add a separate image of each side. Add design areas to the selected images. 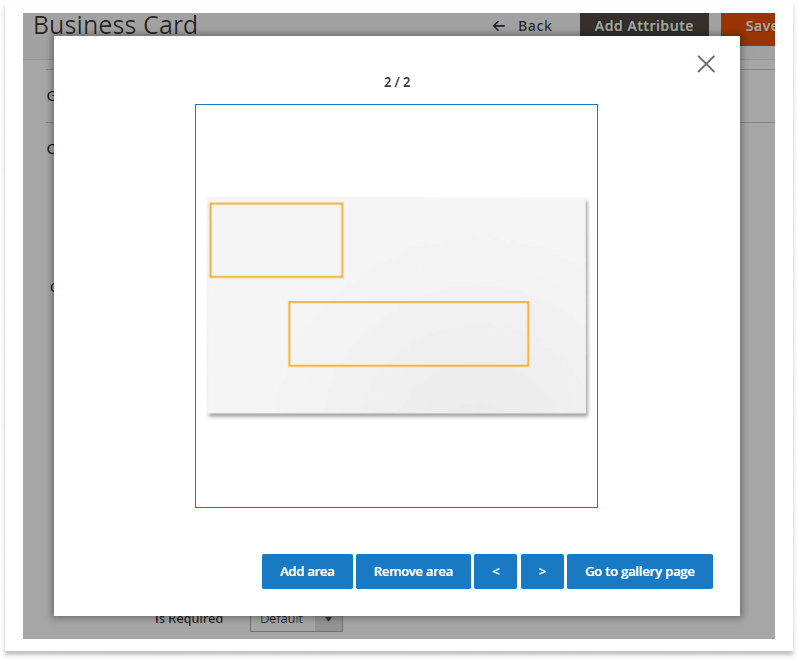 To give customers full control over the card’s look, you may add one large design area. You may also introduce extra charge (e.g. USD 5.00) for customization and disable purchasing of a non-customized card. If needed you may set the maximum text length. Save the product. 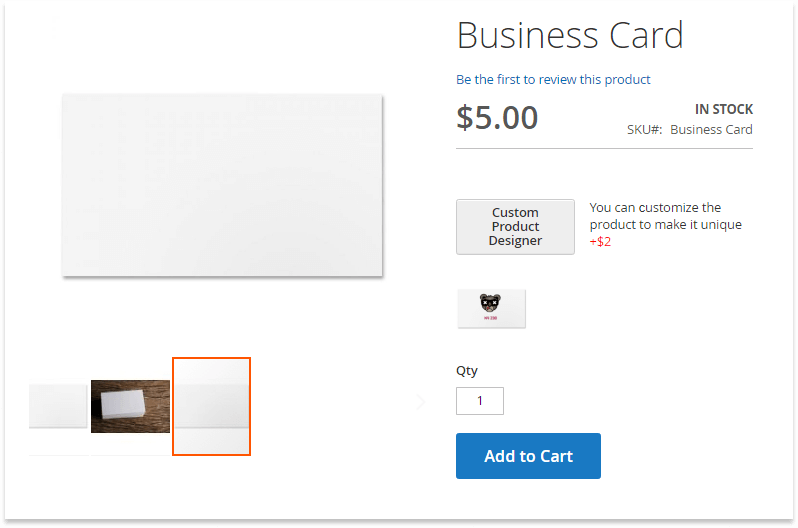 Now shoppers can add their own designs to your card right on the storefront. Shoppers can add all the necessary corporate identity elements to editable product sides. For instance, they may upload branded logos and images, use specific colors and fonts. All the changes can be saved or reset with one click. A custom design preview appears on the product page after the client saves the changes. That’s it! A detailed description of all the extension capabilities is available on its page. Business cards remain an important marketing tool that can draw customers’ attention to the brand. Cards with great design give their owners a competitive advantage, as people often save them and share their photos with others. 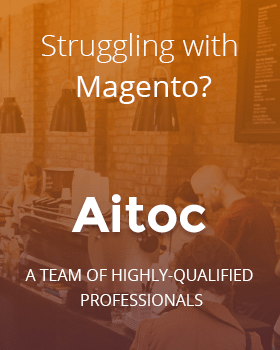 You may make your Magento store different from others by leveraging Custom Product Designer to allow your clients to create their own designs of the business card right in your store.